We present the most interesting projects in the TRANSPORTATION category. Large investments in railways are new in modern Serbia, which hasn`t seen anything like it since the construction of the Bar Railway and the Belgrade Hub facilities. Trains are still late, in the terms of both the schedules and the global standards, but it can`t be denied that works are being done on railways. There is a constant upward trend in air transport. For the first time after 90 years, the Belgrade Airport is run by a foreign concessionaire since late 2018. The state took over the management of the Nis Airport from the city. The announced, but not yet started, route of the so-called Corridor 11 (historically, this is in fact the Belgrade-South Adriatic highway), from Preljina (Cacak), through Pozega (the construction from Cacak to Pozega has been agreed with a Chinese partner), to Boljare on the Montenegrin border. The estimate is that this will cost Serbia around EUR 2 billion more, which is a lot, but the two neighboring countries will probably be linked this way in the foreseeable future, because, in addition to activities in Serbia, the construction of the first section from Podgorica to the Kolasin area is in progress in Montenegro. The second spot belongs to the completion of Corridor 10 through Serbia to Macedonia and Greece (the so-called South Branch). It should have been completed a long time ago, but the difficult terrain slowed the construction down, and the slope at the Grdelica Gorge collapsed as well. In addition to slowing the works down, this also cast doubt on the planning methodology, as well as the adopted technical solutions for the stabilization of the ground. Reporting on this topic, Serbian media have been writing for years that seaside will finally be available by highway, but this will certainly not be the case, as the Greeks are certainly not finishing the missing section north of Thessaloniki any time soon. 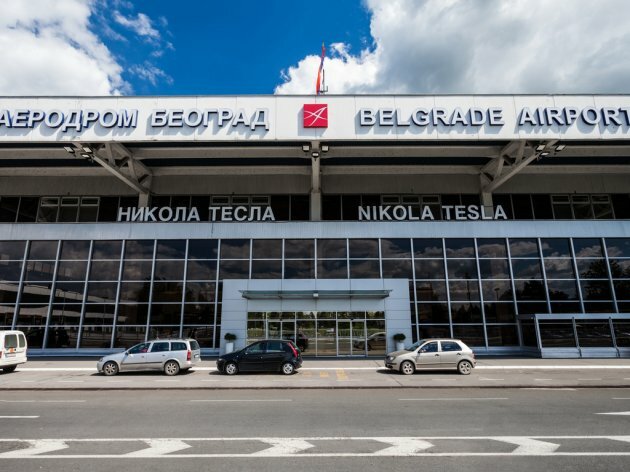 The concession of the Belgrade Nikola Tesla Airport placed third. This is the biggest such arrangement in Serbia`s history: the French partner, Vinci Airports S.A.S, paid a one-off concession fee of EUR 501 million, and total investments should reach the amount of EUR 1.46 billion. Major works have been announced so that the airport would expand and modernize. The concession period is 25 years. In 2018, the Belgrade Airport broke all its previous records: over 5.6 million passengers passed through it, and the positive trend is expected to continue, as several airlines have announced the launch of flights to Belgrade (Air France, ASL Airlines, Air Arabia), whereas others have announced flights to new destinations or an increase in the number of flights. The concessionaire denied the speculation in the media and on social networks that the name of Nikola Tesla had been erased from the airport`s name, claiming that the official logo had been merely adapted to the company`s standards, emphasizing the name of the city and “Vinci”. In the meantime, the state took over the management of the Nis Constantine the Great Airport from the city, which previously brought it back to life. 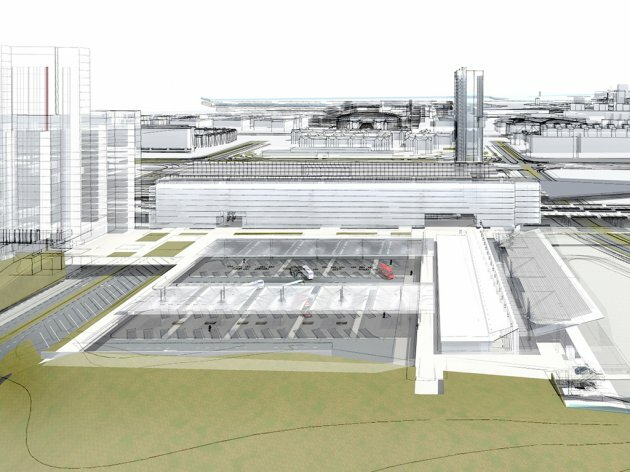 People of Nis protested this decision, believing that it favored the Belgrade Airport and the French concessionaire. Officials deny this, announcing new investments. The fourth spot belongs to the construction of Patrijarha Pavla Blvd in Belgrade (Rakovica). This is quite understandable: the Ada Bridge, which has been preventing a total collapse when it comes to the traffic in Belgrade for several years now, will become even more useful when it is connected by four lanes with the Rakovica road. On the New Belgrade side, an agreement has been signed with Energoprojekt Niskogradnja, the Institute of Transportation CIP and Bauwesen on the formation of a rail route in Umetnosti Blvd, also on the access route of the Ada Bridge, which is great news, especially for those who work at the central business district in New Belgrade. Perhaps due to readers` nostalgia for the “Shell red” petrol from Hungary, which was sold for 2.5 to 3 Deutschmarks during the 1990s sanctions, the news that Shell had officially started selling petroleum products in Serbia caused a lot of attention, placing fifth on our list. The price of fuel is the burning issue in the Serbian economy. That`s why the arrival of a new name, especially this kind of a serious global company, is cause for hope. The sixth spot belongs to the now old story about the Belgrade subway. This is a good opportunity to pay homage to Gaga Spasojevic of Vecernje Novosti, who once wrote “In a few years...” in an article about the Belgrade subway. The city has changed plans and the first line will not go to New Belgrade, but to Makisko Polje, and the left bank of the Sava and the hill on the right bank might be connected by an underground tunnel, instead of the bridge which has been planned for decades. The seventh spot belongs to the development of the Sava coastal area and Karadjordjeva Street. The railway is gone and the sidewalk will be expanded, which is supposed to improve the living and working conditions in the area, which features numerous historically important buildings. The strange project of the moving of the Main Bus Station due to the Belgrade Waterfront project placed eighth. A structure was built in New Belgrade near the railway station and the flee market, which should have been a temporary bus station, but a new bus platform and parking lot were built for inter-city bus transport soon afterward – in the Belgrade Waterfront area! It is now clear that the main bus station will remain where it`s always been, at least for a while, unlike the Main Railway Station, which we`ve lost. The opinion of the editor-in-chief of eKapija is that, when it comes to transportation, the year 2018 was marked by the removal of the Main Railway Station from the center of Belgrade. Aside from to the capital of Serbia, only Tirana has done so. This valuable resource should never have been lost, especially now that fuel prices have gone up and when there`s a scarcity of bus drivers in the labor market. Unlike the Belgrade from 130 years ago, today`s Belgrade stands out for all the wrong reasons – it`s a city without a railway station that could meet even the basic requirements. 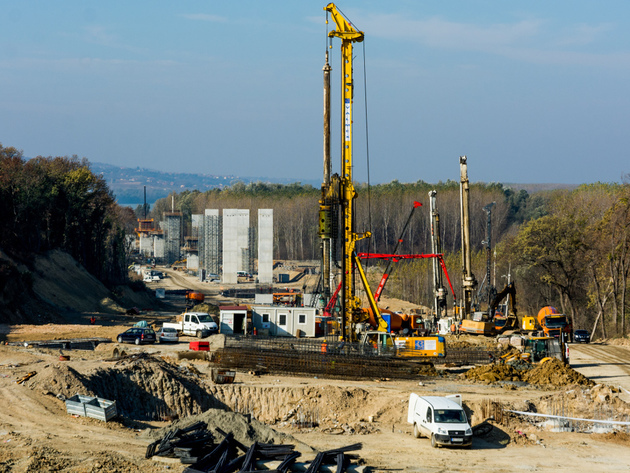 The continuation of the construction of the bypass route around Belgrade took the ninth spot. The Azerbaijani and the Chinese should finally make it possible to reach Nis from Novi Sad, while avoiding Mostarska Petlja and Autokomanda. However, readers shouldn`t have any illusions: the Gazela bridge only has a small percentage of vehicles in transit at the rush hour in the afternoon – the rest is intercity traffic. In other words, traffic jams in Belgrade will not disappear once this bypass route is completed. The Morava Corridor placed tenth. 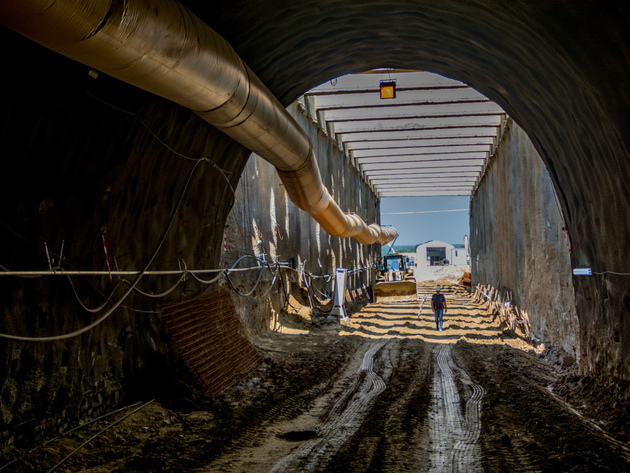 Serbia made an agreement on its construction with an American giant, Bechtel. The expansion of the tram network in Belgrade to include the Ada Bridge did not make the Top 10, although, in our opinion, its belongs there. The public transport in Belgrade is one of the biggest consumers of resources. The loss of GSP`s buses is measured in hundreds of millions of euros. On the other hand, when there are enough passengers (as is the case with Belgrade), rail traffic is much cheaper than road traffic. If there is no money for the subway, there`s certainly enough for tram traffic. The Nis-Pristina highway, pompously called the Peace Highway, is next on the list. Although there is no actual war, there are sanctions of Pristina when it comes to Serbia goods. If Belgrade gave up on this highway, however, it would hurt Prokuplje and Kursumlija most of all. The 13th spot belongs to the long announced Novi Sad-Sabac-Loznica highway. We hope that the unfortunate placing doesn`t mean that this project will meet the same fate as the “wartime” railway between Loznica and Valjevo. The first phase of the Belgrade-Sarajevo highway, from Kuzmin to Sremska Raca, placed 14th. The new Belgrade-Budapest railway, surprisingly, took only the 15th spot, even though it is one of the biggest projects in the country. Sergey Alexeyevich Pavlov, General Director of RZD International, the Russian partner in this project, confirmed in his interview with eKapija that it would be a genuine high-speed railway, with the maximum speed of 200 km/h in the first phase, to be potentially increased to 250 km/h later on. 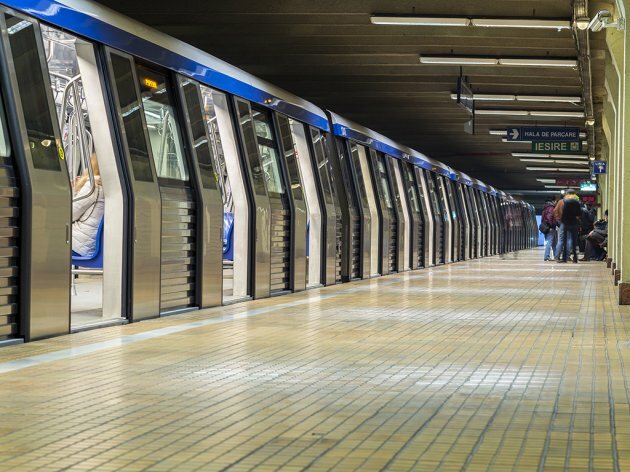 The 16th spot belongs to the public-private partnership with the Chinese company Shandong concerning the construction of four underground garages in Belgrade. Next on the list is the Corridor 11 section from New Belgrade, through Surcin, to Obrenovac. The future bridge on the Danube at Ada Huja placed 18th. The tunnel beneath Kadinjaca, which should bring two rival towns, Uzice and Bajina Basta, closer together, took the 19th spot. The construction of the second hall of the Eyemaxx logistics center in Novi Banovci placed 20th. The Sava bridge near Belgrade Waterfront placed 21st. Belgrade authorities announce the construction of a new bridge, which however entails the previous demolition of the Old Sava Bridge, which should be moved to Ada Ciganlija as a bridge for pedestrians and cyclists and connect with New Belgrade. If the old bridge is not operational while the new one is being built, it will lead to traffic jams of previously unseen proportions. The seldom mentioned highway between Belgrade and Timisoara placed 22nd. The plan for the airport in Preljina near Cacak to get an 800-km concrete runway took the 23rd spot. It should be said that there is already a much longer concrete runway in the nearby Ladjevci. Next on the list is the planned road tunnel beneath the center of Belgrade, with two tubes with two lanes each, running from the Faculty of Economics to the police station at Despota Stefana Blvd. 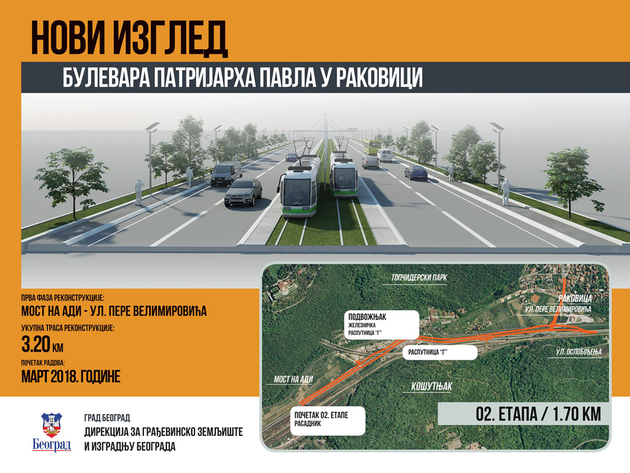 Two parallel tunnels through Fruska Gora with a 200-km/h lane each, built by specialized Russian companies, are next on the list. Milsped`s opening of offices in China and the U.S.A. placed 26th. The 27th spot belongs to the famous Y-branch on Corridor 10, near Subotica. A memorandum on cooperation on the reconstruction of the Belgrade-Nis railway was signed with the Chinese giant CRBC. The Sumadija corridor, that is, the question of connecting Kragujevac to main roads, which somehow seem to pass it by, placed 29th. The 30th spot belongs to the development of the Novi Sad airport in Cenej. 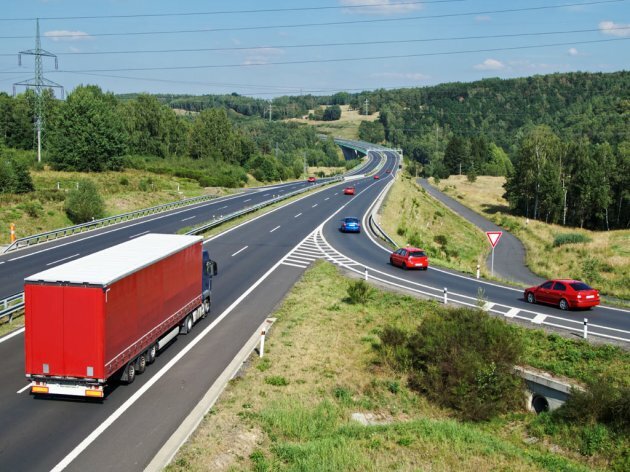 The list is rounded up by the potential construction of the Belgrade-Zrenjanin highway, which placed 31st. Take a look at our list of investments in the TRANSPORTATION category and compare it to your opinions, expectations and estimates. Also, have you seen which projects caused the most attention in the TRADE CENTERS, REAL ESTATE (residential and office space) and PUBLIC UTILITY INFRASTRUCTURE AND ENERGY categories?